We all learn by hearing (auditory processing), seeing (visual processing), and doing (tactile/kinesthetic processing). Within each of those areas there are 9 sub-categories. When learning is difficult, it is due to one or more of those areas not working as efficient as they could, should and can. Although the CANS is critical to auditory functions, including spoken language processing and many other complex signals, several other factors are involved as well. Even the simplest auditory tasks are influenced by such higher-level, nonmodality-specific factors as attention, learning, motivation, memory, and decision processes. Higher level contextual information influences the perceptual analysis of the acoustic signal, and various knowledge sources interact and support the auditory processing of spoken language and other complex acoustic signals, such as music (Bregman, 1990; Duetch, 1975, 1982; Handel, 1984, 1989; Jones, 1987; McAdams & Bregman, 1979; McAdams & Saariaho, 1985). 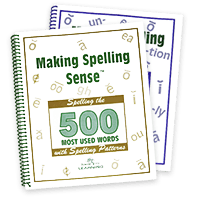 The spelling lessons in Bonnie Terry Learning’s (BTL) ASW Spelling Program, Making Spelling Sense, and Making Spelling Sense II use a method that teaches both this process and the structure of the language. 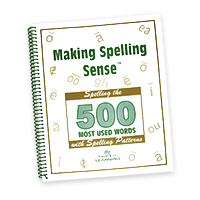 Each lesson teaches both the spelling patterns and the words, one letter or blended letters at a time, and the student then blends all of the letters together to form words. 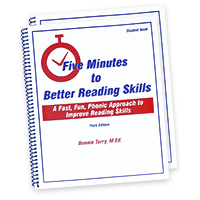 The (BTL) ASW Learning Skills Program, ASW Reading, Writing, & Study Skills Program, and Five Minutes to Better Reading Skills all teach syllable segmentation, segmentation of individual phonemes, blending, and fluency. The ASW Learning Skills Program teaches all nine areas of auditory perception, the nine areas of visual processing and the nine areas of tactile/kinesthetic processing. This includes the above steps. According to the National Vision Research Institute of Australia, about 40% of the human brain is involved in one form or another with visual processing. Upon visual input, visual signals leave the eye and follow a path into the superior colliculus in the brainstem, where the electrical impulses react and control all eye movements such as blinking, dilating pupils, and tracking objects that are moving or tracking a line of words. The optic nerve then forms synapses and sends neurons to the occipital lobe of the cerebral cortex. This pathway is responsible for experiencing and controlling visual perception. The input comes from both eyes, the right cortex receiving impulses from the left orbit and the left cortex receiving input from the right orbit. Vision develops in an orderly manner and improves over time. Each principle or skill has a continuum. 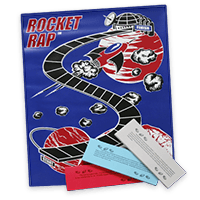 Additionally, each has a range of responses from very basic to complex. A child can respond at any point on each skill continuum and can be at different points at any given time on each continuum. 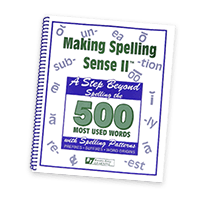 Visual tracking of letters or words with a built in scoring (accountability) system. In the tactile/kinesthetic processing system, otherwise known as the haptic processing system, information comes in from either tactile (touch) or kinesthetic (movement). Difficulties or dysfunctions in this system result in problems performing motor tasks such as writing, note-taking, manipulating buttons or tools and equipment. Often, difficulty also arises with learning motor performance skills (Gibson, 1965). There is evidence that children with moderate learning disorders often have poorly functioning visual, auditory, or vestibular (balance) systems which can contribute to their lack of attention, task avoidance, behavior issues, and self-regulation (Wilson & Heiniger-White, 2008). This is important, because vestibular deficits affect every facet of child’s being, including: health, ability to learn, and overall academic achievement (Mehta & Stakiw, 2004). Children with vestibular function disorders often need additional help with learning, due to various contributing factors: impaired spatial orientation, memorization task difficulties, balance problems affecting their ability to sit upright in their chairs, and unstable neck muscles that create fatigue posture at the desk. Young children frequently cannot describe vestibular symptoms, and teachers frequently lack of awareness of vestibular problems, lead to both misdiagnosis or under-diagnosis of this condition (Mehta & Stakiw, 2004). Wilson and McKenzie, 1998, summarized that the greatest deficiency with children with developmental coordination disorder is in the visual-spatial processing areas. Findings of 50 studies show that perceptual problems, especially in the visual modality, are associated with difficulties or problems in motor coordination. Therefore, activities that give direct explicit instruction in the tactile kinesthetic system areas are indicated. Comprehending and using spoken language and written language (reading) does depend on the initial detection of sensory input (VAKT) and perceptual analysis of the auditory, visual, kinesthetic, and tactile input to the central nervous system. Researchers (Torgesen, Wagner, & Rashotte, 1994) have found that training children needs to be more explicit and intense for at-risk students than for those who do not struggle if the training is to be effective for those with reading disabilities. The first step to start with is the sound symbol relationship, model from larger units (words and rhyme) to smaller units, which are the individual phonemes. Then, move from the easier tasks of rhyming to the more complex tasks of blending and segmenting. It is critical to use additional activities and strategies to facilitate the manipulation of sounds and print (reading material) and writing. Additionally, the automaticity of the phonological processes is important in all of three learning areas: auditory, visual, and tactile/kinesthetic. And, within this automaticity we need to keep in mind that each of the 5 steps of the reading process is impacted by multiple of the 27 areas of perception. 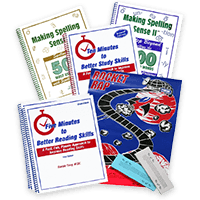 When those areas are addressed with specific skill instruction, reading and learning skills improve quickly. Eric Jensen, author of Brain Based Learning, (1997) states that up to 87% of students do NOT learn from hearing alone. He goes on to state that we under-utilize our visual system when learning. 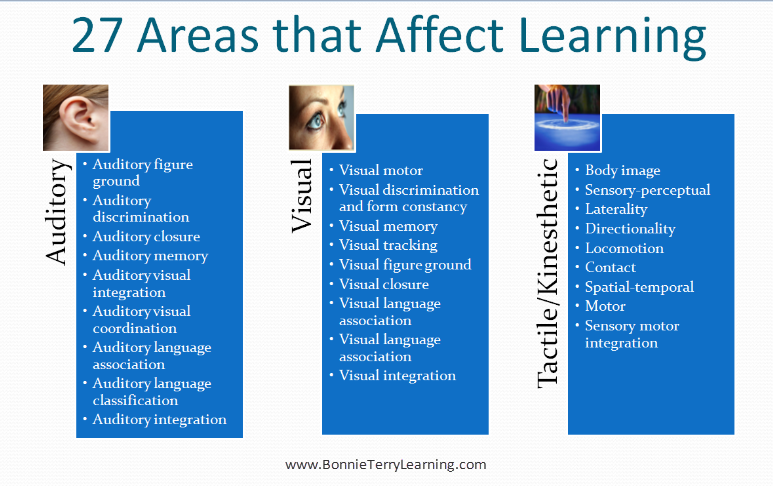 Use of colored handouts, charts, graphs, photographs, posters, and graphic organizers such as those incorporated into Bonnie Terry Learning products will increase student’s learning through boosting and strengthening use of the visual system. Using visual and kinesthetic methods increases student performance and decreases discipline problems. Research by Robert Sapolsky (1996, 1999) relates stress to learning. 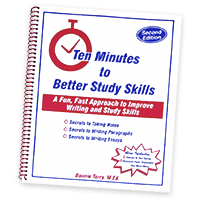 A student under stress or distress will have a much more difficult time retaining information. Read more on brain based learning and brain studies here. The Center for Research on Learning based at the University of Kansas has been studying the best ways to help promote effective teaching for over 30 years. 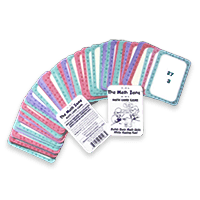 It has developed numerous strategies incorporated into an overall program called the Strategic Instruction Model (SIM Strategies). In essence, the Strategic Instruction Model aims to promote effective teaching and learning of critical content in schools. SIM strives to help teachers make decisions about what is of greatest importance, what we can teach students to help them to learn, and how to teach them well. The Center for Research on Learning developed specific learning strategies for assisting students to understand information and solve problems. A learning strategy is a person’s approach to learning and using information. Students who do not know or use good learning strategies often learn passively and ultimately fail in school. Learning strategy instruction focuses on making students more active learners by teaching them how to learn and how to use what they have learned to problem solve, comprehend better, write better, and be successful. 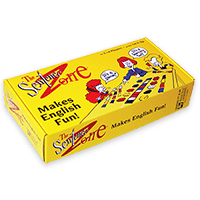 See more about reading strategies, language (sentence building), and comprehension games supported by the Strategic Instruction Model research. 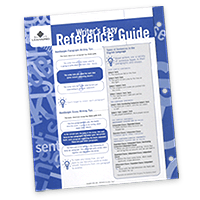 Woodrow Wilson Senior High’s Language Scores, LA Unified School District, have increased 11% each year since they have implemented the Writer’s Easy Reference guide into their school.